Crack arrest in Q+T steels has been caused by large energy required for the fracturing of carbides. Since carbides have large Young’s modulus, the energy spent for their fracture is very large. This mechanism itself is useful, but the costs of such steels are extremely high, and processing window is very narrow. Both facts have determined very limited use of Q+T steels. Therefore, there was a need for a large scale production of materials with similar microstructure. First on the laboratory scale, and then on the full industrial scale, a range of completely new steels have been introduced, alloyed with Nb, Ti, V, Zr, B etc. In these steels, a large increase in strength is obtained due to addition of very small amount of alloying elements. 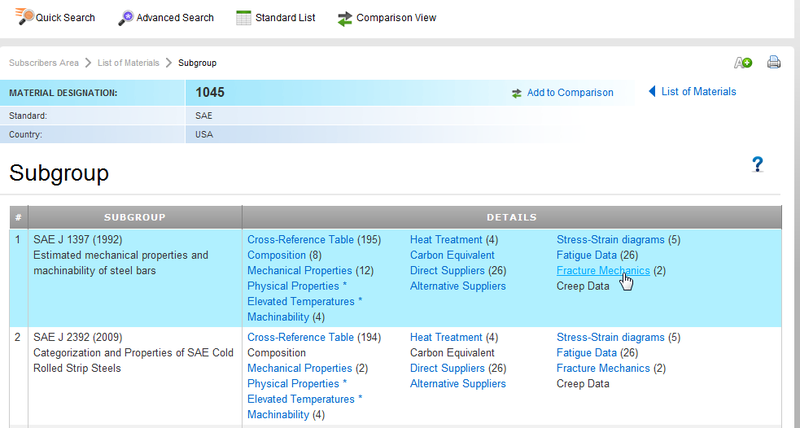 Chronological development of the use of microalloying elements in steel is given in Figure 1. 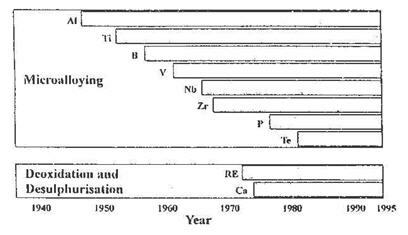 Figure 1: Chronological development of the use of microalloying elements in steel. a demand on the global market for steel with good weldability for pipelines, where it was not possible to use the traditional way to increase strength and toughness by increasing alloying and carbon content. Microstructure of microalloyed steels after hot working is typically fine-grained and consists of small and homogenous ferrite (α) grains. Small amount of cementite is also present (low pearlite steel are also used), together with fine dispersed carbonitride particles that can be observed only using electron microscope. The influences of niobium content and grain size on the transition temperature in microalloyed steels are shown in Figures 2 and 3, respectively. 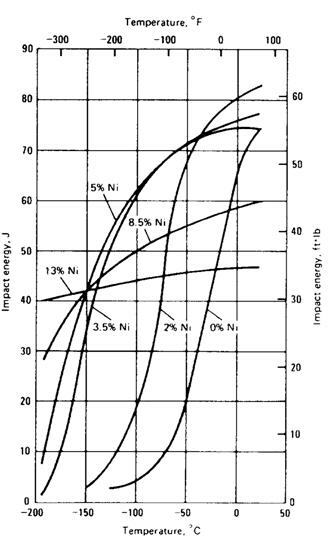 Figure 2: The influence of niobium content on transition temperature. 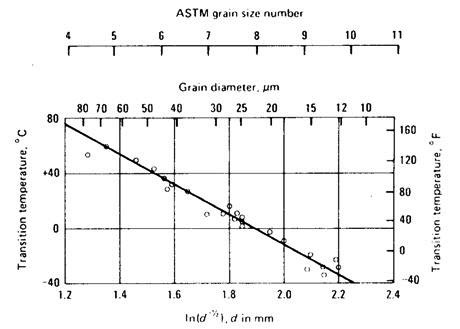 Figure 3: The influence of grain size on transition temperature. Theoretically, the best combination of strength and toughness can be obtained in fine grained steel by homogeneous distribution of dislocations in homogenous mixture of two phases. One phase should be precipitated within other (combination of coherent and semi-coherent precipitates) in matrix with grain size less than 1μm. This is an ideal case that can be only in a limited scope achieved in microalloyed steels, it is more emphasized in quenched and tempered (Q+T) steels. 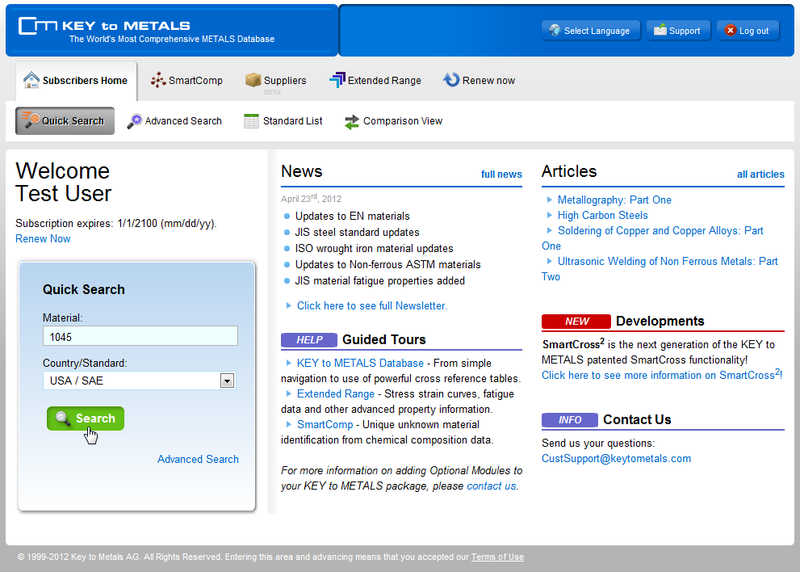 Since Q+T steels contain some other elements, the role of nickel is of greatest importance. The influence of nickel content on transition temperature is shown in Figure 4. 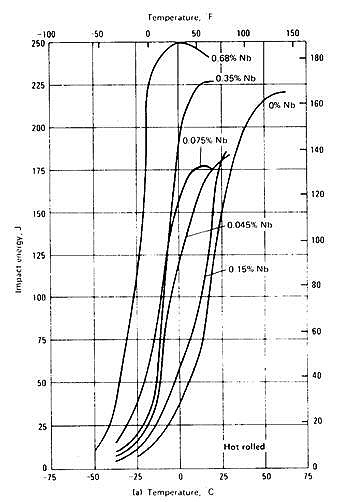 Figure 4: Influence of nickel content on transition temperature in steel. 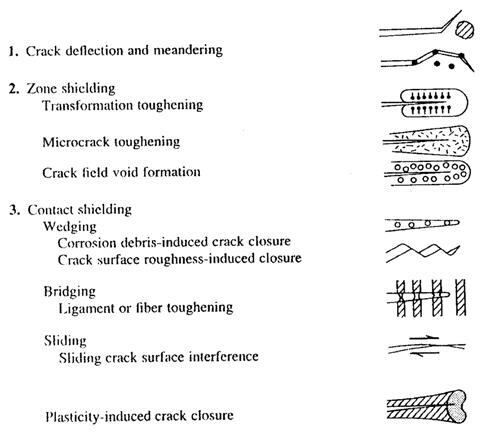 Figure 5 shows mechanisms for crack arrest in materials, indicating possible ways for the improvement of toughness. 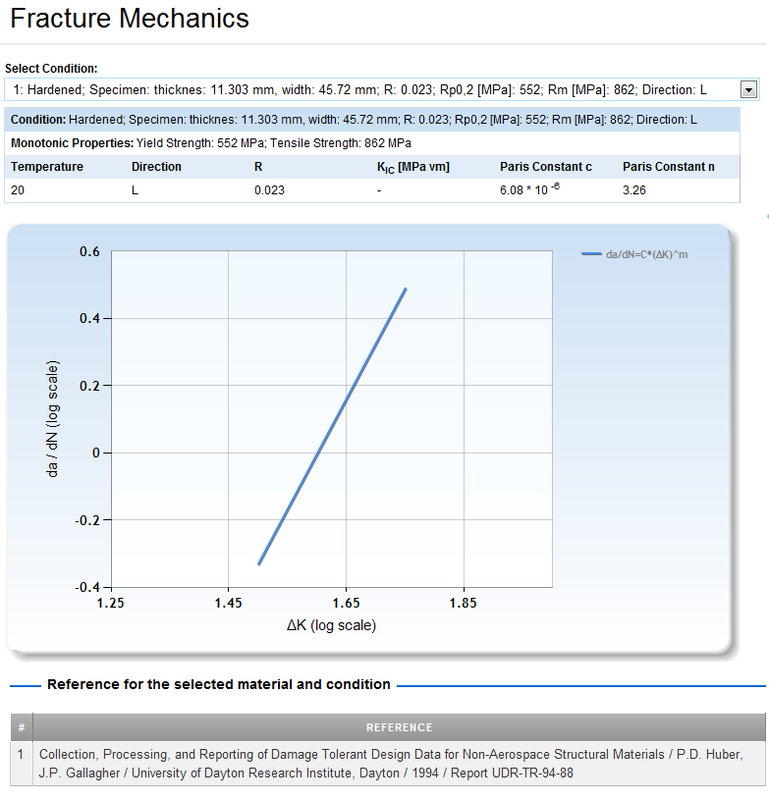 Crack deflection and meandering are the dominant mechanisms of crack propagation in steel, confirming the experience that the best combination of strength and toughness has been observed in quenched and tempered steels. Figure 5: The mechanisms of crack arrest. Crack arrest in these steels has been caused by large energy required for the fracturing of carbides. Since carbides have large Young’s modulus, the energy spent for their fracture is very large. This mechanism itself is useful, but the costs of such steels are extremely high, and processing window is very narrow. Both facts have determined very limited use of Q+T steels. Therefore, there was a need for a large scale production of materials with similar microstructure. The answer to the market demands was found in mid-sixties of the 20th century. These steels were, as discussed earlier, named microalloyed, due to very small addition of strong carbide and nitride forming elements, Nb, V and Ti. The first step in the production of Q+T steels has been quenching, with an aim to produce martensite, i.e. supersaturated solution of carbon in Fe matrix. Further tempering has had following aims: (1) stress relieving, (2) elimination of retained austenite, and (3) precipitation of carbides, usually Cr and/or Mo, V.
Carbides are nucleated both on grain boundaries and within the grains. Finally, this microstructure consists of mixed ferrite and carbides. Large number of very fine and closely distributed second phase particles enables strong dispersion hardening effect. On the other hand, large particles on long distances will diminish effect. 이 문서는 전체 문서 중 일부분입니다. 이 주제에 대해 더 읽고 싶으시면 아래 링크를 클릭하시면 됩니다. Total Materia Extended Range는 수천개 금속 합금의 열처리 조건 및 하중 조건에 대한 파괴 공학 변수 데이터베이스를 포함하고 있습니다. K1C, KC, 균열 성장 및 Paris 법칙 변수와 이에 대응되는 균열 성장 그래프가 제공됩니다. 단조 특성도 참조를 위해 추가되어 있으며 단조 특성을 통해 예상되는 빠진 변수의 추정치도 필요한 곳에는 포함되어 있습니다. 신속 검색에 검색할 재질명을 입력합니다. 원하신다면 국가/규격을 지정하신 후 검색 버튼을 클릭합니다. 결과 리스트에서 재질을 선택하시면, 일련의 규격 사양 소그룹이 나타납니다. Total Materia 파괴 공학 데이터는 규격 사양서와 무관하므로, 어떠한 소그룹 내의 링크를 클릭하셔도 파괴 공학 데이터를 검토하실 수 있습니다. 데이터는 표로 출력되며, 가능한 곳에는 Paris 곡선(Region II)와 함께 출력되어 있습니다. 데이터 출처에 관한 정확한 참조가 각 데이터에 주어져 있습니다. Total Materia 데이터베이스를 사용해 보실 수 있는 기회가 있습니다. 저희는 Total Materia 무료 체험을 통해 150,000명 이상의 사용자가 이용하고 있는 커뮤니티로 귀하를 초대합니다.